All talks at the Media Lab, unless otherwise noted, are free and open to the public. No registration is required. Team Human is a manifesto—a fiery distillation of preeminent digital theorist Douglas Rushkoff’s most urgent thoughts on civilization and human nature. In 100 lean and incisive statements, he argues that we are essentially social creatures, and that we achieve our greatest aspirations when we work together—not as individuals. Yet today society is threatened by a vast antihuman infrastructure that undermines our ability to connect. Money, once a means of exchange, is now a means of exploitation; education, conceived as way to elevate the working class, has become another assembly line; and the internet has only further divided us into increasingly atomized and radicalized groups. Team Human delivers a call to arms. If we are to resist and survive these destructive forces, we must recognize that being human is a team sport. In Rushkoff’s own words: “Being social may be the whole point.” Harnessing wide-ranging research on human evolution, biology, and psychology, Rushkoff shows that when we work together we realize greater happiness, productivity, and peace. If we can find the others who understand this fundamental truth and reassert our humanity—together—we can make the world a better place to be human. Kate Darling, PhD is a leading expert in robot ethics. She’s a researcher at the MIT Media Lab, where she investigates social robotics and conducts experimental studies on human-robot interaction. Kate explores the emotional connection between people and life-like machines, seeking to influence technology design and policy direction. Her writing and research anticipate difficult questions that lawmakers, engineers, and the wider public will need to address as human-robot relationships evolve in the coming decades. Forever interested in how technology intersects with society, Kate has a background in law, economics, and intellectual property. She has researched economic incentives in copyright and patent systems; she has also taken a role as intellectual property expert at multiple academic and private institutions. She currently serves as intellectual property policy advisor to the director of the MIT Media Lab. Her passion for technology and robots has led her to interdisciplinary fields. After co-teaching a robot ethics course at Harvard Law School with Professor Lawrence Lessig, Kate increasingly works at the intersection of law and robotics, with a focus on legal and social issues. 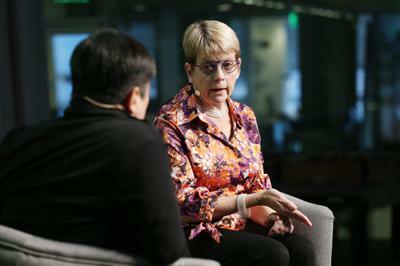 She is a former fellow and current affiliate at the Harvard Berkman Klein Center for Internet and Society and a former fellow at the Yale Information Society Project; she is also an affiliate at the Institute for Ethics and Emerging Technologies. Kate’s work has been featured in Vogue, The New Yorker, the Guardian, BBC, NPR, PBS, The Boston Globe, Forbes, CBC, WIRED, Boston Magazine, The Atlantic, Slate, Die Zeit, The Japan Times, and more. A contributing writer to Robohub and IEEE Spectrum, she speaks and holds workshops covering some of the more interesting developments in the world of robotics, and where we might find ourselves in the future. Kate graduated from law school with honors and holds a doctorate of sciences from the Swiss Federal Institute of Technology (ETH Zurich) and an honorary doctorate of sciences from Middlebury College. In 2017, the American Bar Association honored her legal work with the Mark T. Banner award in Intellectual Property. She is the caretaker for several domestic robots, including her Pleos Yochai, Peter, and Mr. Spaghetti. She tweets as @grok_ about eating Cheerios for dinner. Named one of the world’s 10 most influential intellectuals by MIT, Douglas Rushkoff is an award-winning author, broadcaster, and documentarian who studies human autonomy in the digital age. The host of the popular Team Human podcast, Rushkoff has written 20 books, including the bestsellers Present Shock and Program or Be Programmed; written regular columns for Medium, CNN, Daily Beast, and the Guardian; and made the PBS Frontline documentaries Generation Like and Merchants of Cool. Rushkoff coined such concepts as “viral media” and “social currency,” and has been a leading voice for applying digital media toward social and economic justice. He is a research fellow of the Institute for the Future and founder of the Laboratory for Digital Humanism at CUNY/Queens, where he is a professor of media theory and digital economics. This event will have open captioning (English) at the event and on the livestream. Archival video will also include English language closed captions. 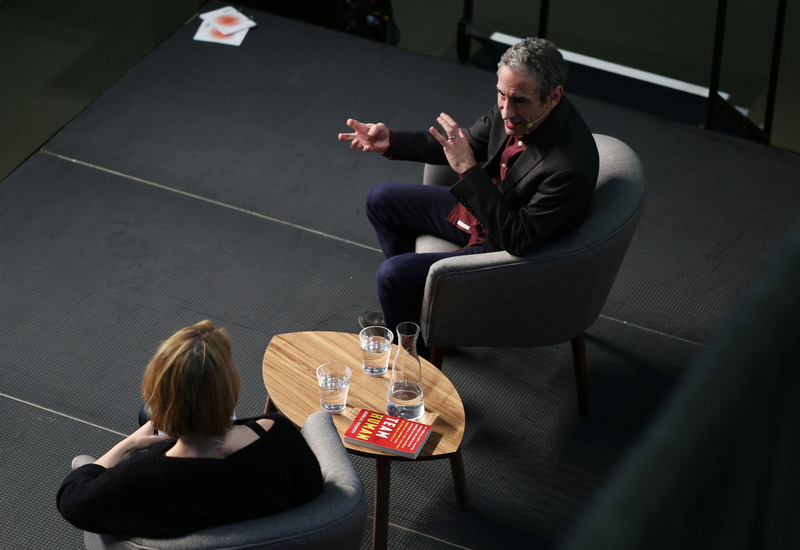 Douglas Rushkoff urges us to stop using technology to optimize people for the market and start using it to build a future centered on our pre-digital values of connection, creativity and respect. “I’m not worried so much about robots developing their own agenda and taking over the world." Can robots teach us what it means to be human?